Eddystone Bluetooth Beacons are an open beacon format developed by Google, for use with both Android and iOS devices. 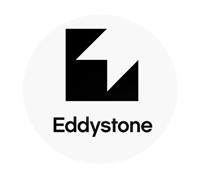 Much like Android devices themselves, Eddystone Beacons are designed with transparency, modularity, and robustness in mind. Depending on the required purpose of the beacon, Eddystone Beacons used with our ClearStream software can contain three different types of frames (or payloads) such as UID, URL and TLM explained below. An Eddystone Beacon with a UID (Unique ID) can attach to an item or a person, and be able to track it quickly and easily with a simple setup. Only a single gateway and a couple of beacons may be necessary for small scale tracking, such as for employees. UID Beacons break data down into Namespace and Instance. Instance designates a particular tag on a certain item. An Eddystone Beacon with a Compressed URL can be parsed and decompressed to send a client to a website. This is useful for static beacons in storefronts and such to display deals or coupons, or provide information such as public transportation routes. An Eddystone Beacon with TLM can collect Telemetry Data such as battery life, temperature, voltage and much more. Useful for maintaining a large amount of Beacons, or tracking other environmental factors. Eddystone Bluetooth Beacons are an excellent choice for any organization looking to either get started with or expand their Bluetooth Beacon setup. Eddystone Beacons can contain a wide variety of information payloads, and are able to interface with almost any device, making them one of the most versatile and reliable Beacons available.